Uglyworld #551 - Why Did They Close Cloud Cap Road, originally uploaded by www.bazpics.com. 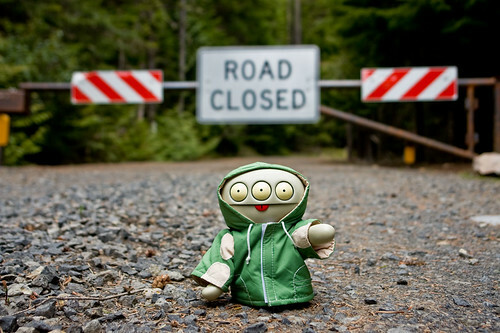 Cinko had been looking forward to the view which Cloud Cap Road has to offer of Mount Hood, unfortunately with the weather still being very wintery the road is still closed. He wasn't too pleased at not being able to continue up the road any further than where I shot this photograph.